Wed., Aug. 8, 2018, 12:27 p.m.
MOSCOW – U.S. Sen. Rand Paul has delivered a letter from President Donald Trump to Russian President Vladimir Putin, the Russian leader’s spokesman said Wednesday. Paul, who defended Trump in the wake of his summit with Putin last month in Helsinki, has been visiting Russia with a delegation for several days. Putin’s spokesman, Dmitry Peskov, said the Kremlin has not yet examined the letter Paul presented. “We expect that in the nearest time it will come to the presidential administration,” Peskov said, according to Russian news agencies. However, deputy White House spokesman Hogan Gidley said the missive was a “letter of introduction” that Trump had written at Paul’s request and “mentioned topics of interest that Senator Paul wanted to discuss with President Putin.” There has been no indication that a Putin-Paul meeting would occur. 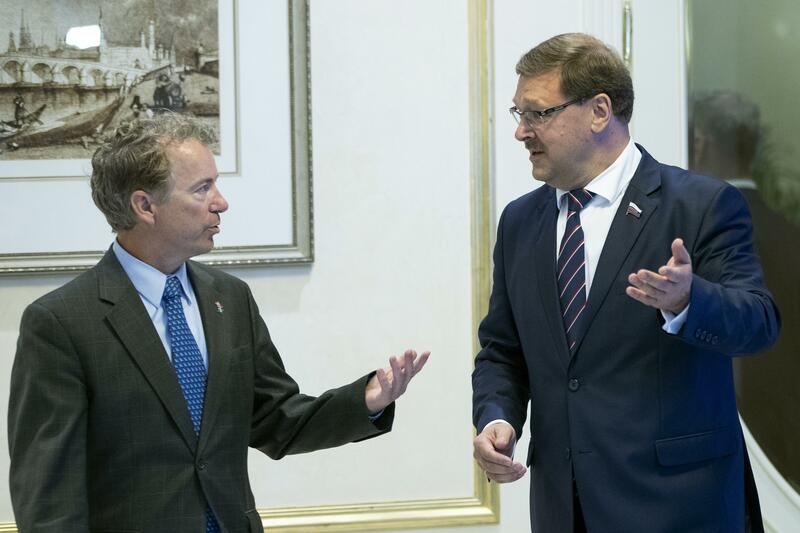 The Kentucky Republican met with members of the Russian parliament’s upper house who serve on the foreign affairs committee Monday. Paul said he had invited them to Washington. Published: Aug. 8, 2018, 12:27 p.m.